1) There has to be dual bone structure. The primary structure will be used to pose the hand. 2) This should in turn have moved the secondary underlying bone structure. 3) The elbow problem from previous attempt can be avoided if the secondary bone structure controlled the deformation of the Main geometry. 4) This would also solve the correlation problem. Refer to my post on Bendyrig to understand what I did wrong previously and better understand this procedure. 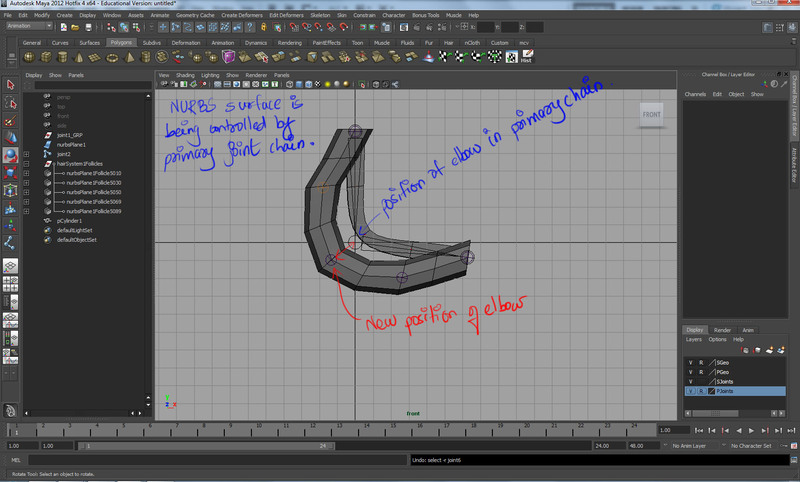 – the primary bone structure needs to control the underlying NURBS surface. – the hair follicles that have secondary bones parented to them will move along with the primary bone structure. That way, the primary bone structure is driving the secondary bone structure perfectly. 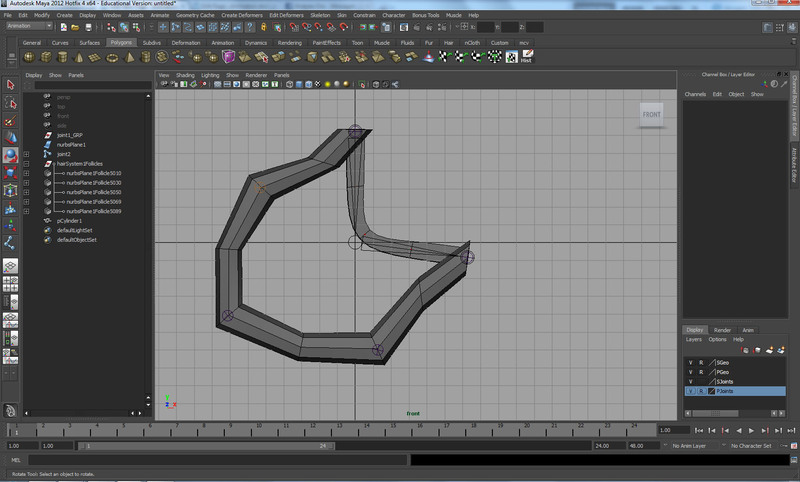 – Now just use this secondary bone structure and bind the arm geometry to it. That’s it!!! Very simple. Very effective. I ma not putting up a snapshot of the setup as you can understand it pretty well from my previous post on BendyRig. However, here are some tests to prove this concept works like magic. You can tell that it is working. More edge loops on the arm, and some paint weights will make it look perfect. I am yet to test this technique with a IK stretch. But I can’t see a reason for it to not work. It will be fun to try it out.